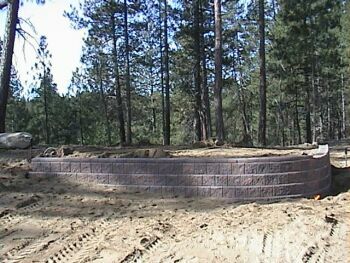 Rick was tired of using the same retaining wall systems and wanted something different for this project. He chose the Allan Block Jr in our Red Rocks blend color. 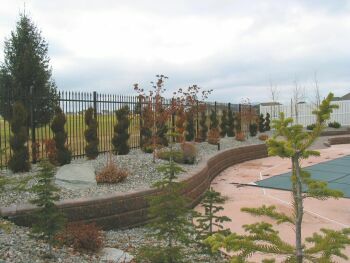 This design called out for multiple walls that varied in height from 8 inches to 4 feet tall. 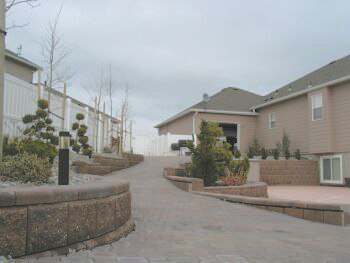 Real Escapes also used Abbotsford Legend Pavers in the Indian Summer color on this project. 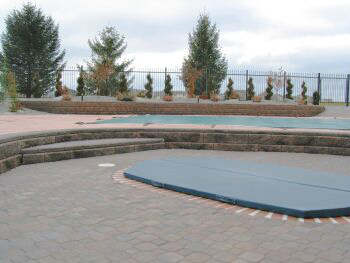 The color range of the pavers works well with our Red Rocks Blend color. Real Escapes by Rick Hamilton installed these Allan Block Junior Walls. 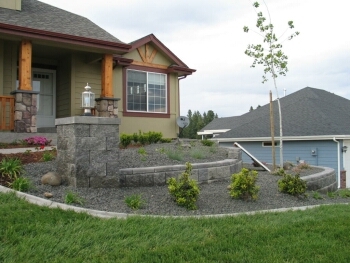 Impressed by their vesatility and ease of installation, the Allan Block System has become one of Rick's favorite landscaping tools. Real Escapes is a Certified Allan Block Installer. 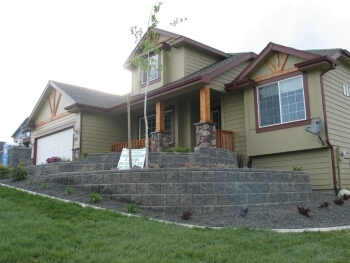 The front yard required a terraced wall. The Allan Block Junior work perfectly with radius used in the design. The AB Courtyard was used to create the light post. 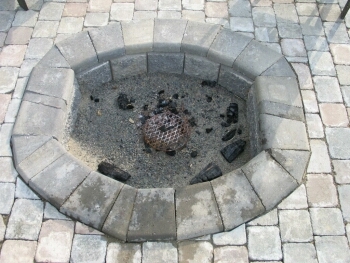 The homeowners wanted to create a in ground fire pit. La Vasseur Construction, Inc. used Allan Block Junior to create the pit and capped it off with the AB Junior Caps. 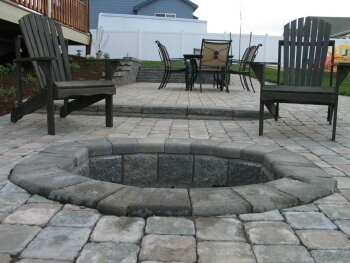 They built it into the paver patio to create a nice space to warm up during those cool summer evenings. 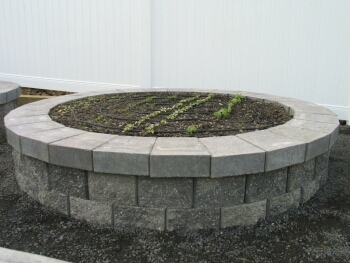 The homeowners also wanted a raised planter bed to grow herbs & flowers. The AB Courtyard Yoks & Caps create the perfect planter without cutting any of the block. They also make great water features! 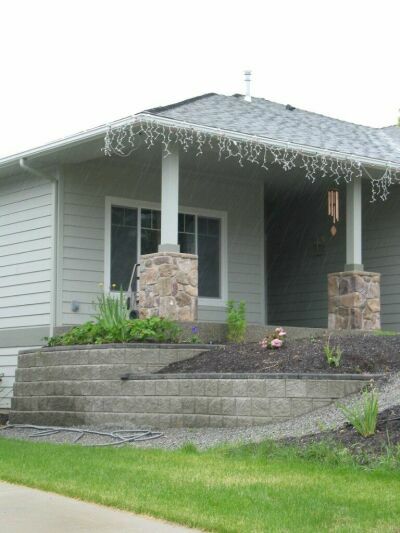 Here the homeowner chose the AB Junior in natural gray color to complete their landscaping needs. The products lightweight and versatility make it easy to install.